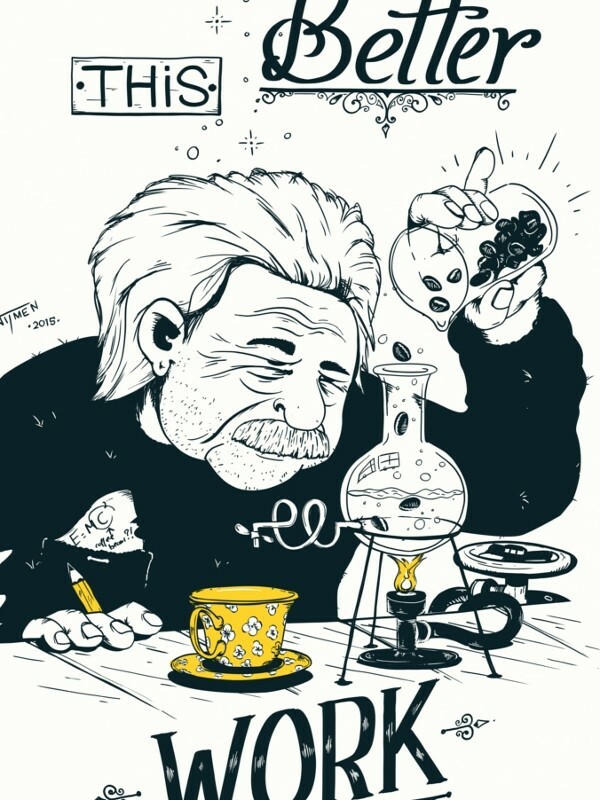 Itchi5 comes with a fresh illustration featuring the one and only Einstein. 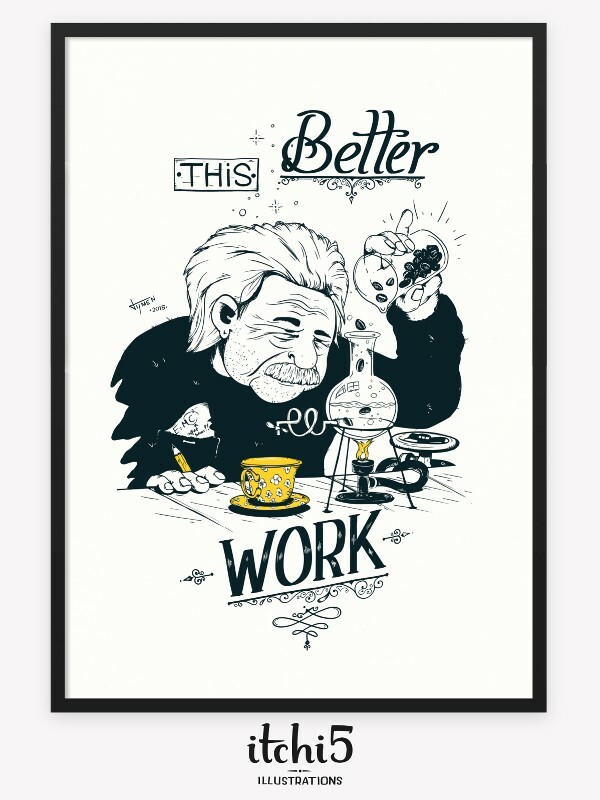 Even geniuses need a Monday morning coffee, and if that hasn’t been invented yet then they’ll try to figure something out by themselves, as seen in the illustration. Even the little note in his pocket indicates he might be wondering if the C from E=MC² might stand for ‘Coffee beans’. Who knows? You can get a copy of this wonderful work through the web shop on itchi5.com.